Chandra's image of the lenticular (an elliptical-type galaxy with a disk of old stars) galaxy NGC 1553 reveals diffuse hot gas dotted with many point-like sources. 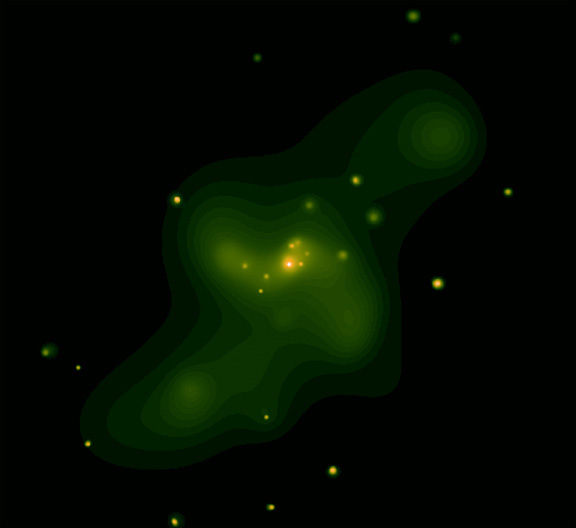 As in the elliptical galaxies, NGC 4649 and NGC 4697, the point-like sources are due to black holes and neutron stars in binary star systems where material pulled off a normal star is heated and emits X-radiation as it falls toward its black hole or neutron star companion. Black holes and neutron stars are the end state of the brightest and most massive stars. 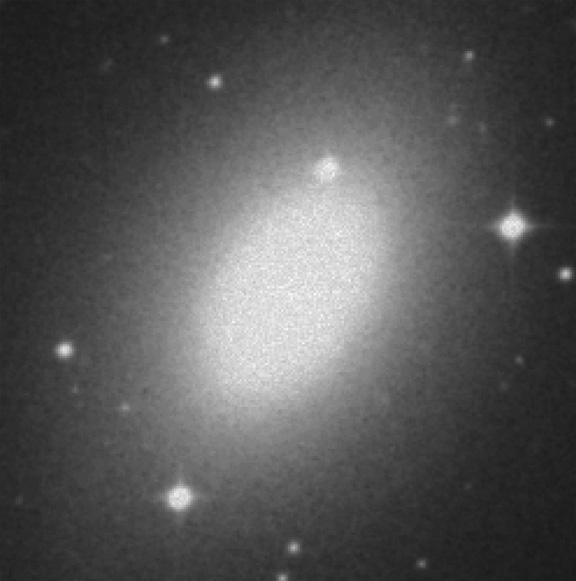 Chandra's detection of numerous neutron stars and black holes in this and other elliptical galaxies shows that these galaxies once contained many very bright, massive stars, in marked contrast to the present population of low-mass faint stars that now dominate elliptical galaxies. The bright central source in NGC 1553 is probably due to a supermassive black hole in the nucleus of the galaxy. The nature of the spiral feature curling out from either side of this source is not known. It could be caused by shock waves from a pair of bubbles of high energy particles that were ejected from the vicinity of the supermassive black hole. Coordinates (J2000) RA 04h 16m 10.3s | Dec -55° 46' 51"